Home Style Antennas is a family run business, located right here on the Gold Coast. Covering mainly the central and northern sections of the coast, we work on both residential and commercial properties, repairing and installing antenna services, signal boosters and wall mounting televisions. We have been working on the Gold Coast since 2015, and while we may still be young, we have an extensive customer base who appreciated our professionalism and the quality services we provide. Home Style Antennas offers a 10% quote beat guarantee to ensure you’re getting a great service while still saving some money. We also offer pensioner discounts on our services. You can be assured that we use quality products and parts from well known suppliers. We wouldn’t install on your house, what we wouldn’t install on ours! We can install and repair antennas and signal boosters on your home, as well as wall mounting any television in your home. Our aim is to ensure you have clear reception wherever you live on the Gold Coast. If you’re running a marketing campaign, or simply need something to keep your clients entertained while awaiting their appointment, we can set your antenna up to ensure a clear signal. If you share an antenna with other businesses, we’ll happily set you up with a signal booster, to ensure a better reception. Are you having issues with television reception in a residential or commercial building you manage? Home Style Antennas can assist in ensuring every apartment or work place gets the best tv reception possible. We can wall mount any TV’s in an aim to minimise damage from occupiers and visitors. Are your tenants complaining about poor quality television service? If they have everything set up correctly, it may be an antenna issue. 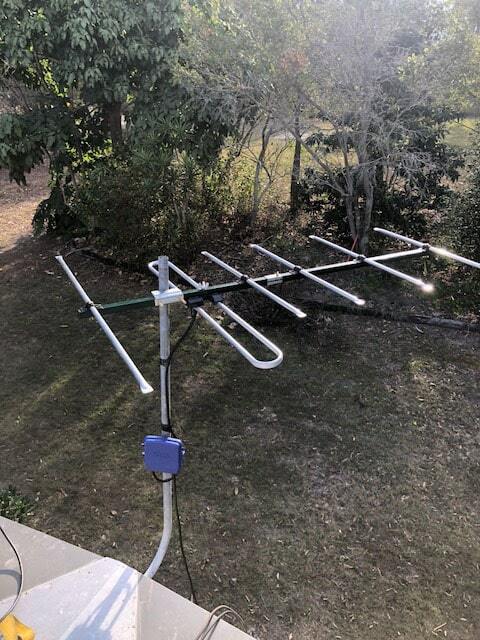 Home Style Antennas can work with your tenants to find a suitable day and time to repair or replace the antenna or signal booster. No more complaints! We work with a range of builders on new home builds and renovations, installing the correct antenna services to ensure a good signal for the property owners. If you need assistance on your next project, we’d love to hear from you.